One of the most devastating injuries you can sustain is a spinal cord injury. 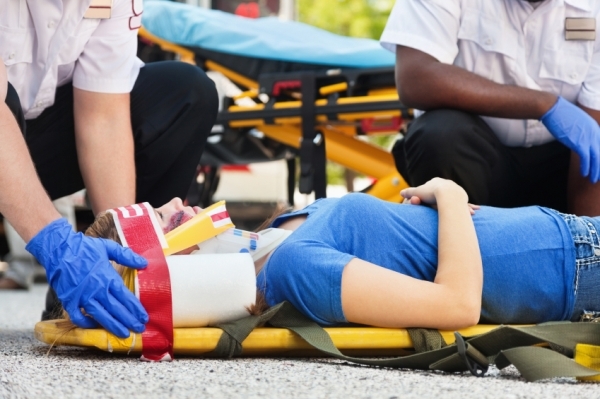 This catastrophic personal injury can have dramatic and life-changing effects on you and your entire family. Because the spine houses nerves and transmits signals from your brain across the whole body, a trauma to this area can have serious consequences and complications such as intense pain as well as effects on mobility and nerve sensation. At the Maurer Law Firm, PLLC, experienced personal injury lawyer Ira M. Maurer represents those who have suffered spinal cord injuries as the result of an accident caused by someone else’s negligence. He works hard to help his clients get full compensation for their losses because he knows the difference it can make in their lives. If you or someone you love has recently suffered a spinal cord injury, please contact us via our online form or give us a call at 845-244-8343 for a free review of your spine injury case. We proudly serve those who live in and near Fishkill, Myers Corner, Beacon, LaGrangeville, and nearby areas of Hudson Valley, New York. A sudden trauma such as an impact from an auto accident or fall can result in a spinal cord injury, causing immediate adverse effects on your quality of life. A spinal cord injury such as a cracked vertebrae or a herniated disk can cause extreme pain, and if it is left untreated, can lead to more serious problems. When your injury is the result of another’s negligence, you need an experienced spinal cord injury lawyer on your side that will fight to hold the responsible party accountable and pursue the compensation you need to get your life back. Ira Maurer has the knowledge and experience you can trust in your time of need. Spinal cord injuries have a wide range of negative effects on the body. The spinal cord is a part of the central nervous system, which is a collection of cells and nerves that transmit information from your brain throughout your body. When your spine is damaged it can affect a number of different functions such as sensory, muscle, and motor controls, and also autonomic functions such as those that control blood pressure, heart rate, and body temperature. Monoplegia: Paralysis that affects one part of the body, generally one limb. Paraplegia: This paralysis happens below the waist, generally affecting legs, hips, and sexual, urinary and bowel functions. Quadriplegia: This is paralysis from the neck down and affects all limbs and motor functions. The Maurer Law Firm, PLLC, has represented numerous people who have suffered herniated discs and other non-paralytic spinal cord injuries. It is very important in such cases to obtain an accurate diagnosis. I have experience working with orthopedists and neurosurgeons to determine the extent of these injuries and possible medical treatments. These treatments include conservative treatment with physical therapy and steroid injections as well as invasive surgical procedures such as open decompression (lumbar laminectomy), microdecompression spine surgery, or spinal fusion surgery. My firm also has extensive experience in cases involving irreversible spinal cord injuries such as paralysis. In these cases, I often work with a medical expert such as a life-care planner. This specialist can develop a personalized study that identifies all of the medical care, long-term care and other services the victim will need for the rest of his or her life. If you were involved in an accident or incident that caused you or a loved one to suffer a spinal cord injury, please contact the Maurer Law Firm by calling 845-244-8343 to schedule a free consultation with experienced personal injury attorney Ira Maurer. We welcome those who live in and near Fishkill, Myers Corner, Beacon, LaGrangeville, and nearby areas of Hudson Valley, New York.